The Kalahari is a vast land of rolling grass dunes and valleys of ancient rivers that support a wide variety of life. Dotted across the landscape are clay pans of varying size. Mostly dry, the pans do hold water after heavy rains, providing some incredible wildlife sightings. Rainfall is erratic but the fast and frequent summer showers are common in northern Central Kalahari Game Reserve from November to March. At this time the land bursts into life and grazing animals such as zebra and wildebeest arrive in huge herds. Be advised though, that roads often turn into mud channels and caution is advised during this time. Drive at own risk. When you get stuck, you are truly stuck. Dry Season Over the months from May to October with temperatures peaking in October. There is hardly any water around, which means that only the hardiest creatures can stay in the area. 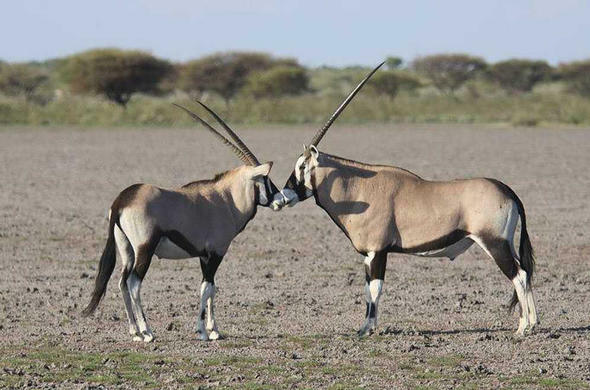 Home to many desert adapted species, such as Aardvaark, Gemsbok, Springbok, Cheetah, Brown Hyena and of course, Lions - when the summer rains arrive, and the grasses sprout across the Makgadikgadi, this is when you will witness large herds of Zebra and Wildebeest migrating into the area. The Central Kalahari Game Reserve is one of the largest reserves in the world, taking in almost 55 000 square kilometres, and was originally proclaimed to protect the Bushmen people and their way of life. 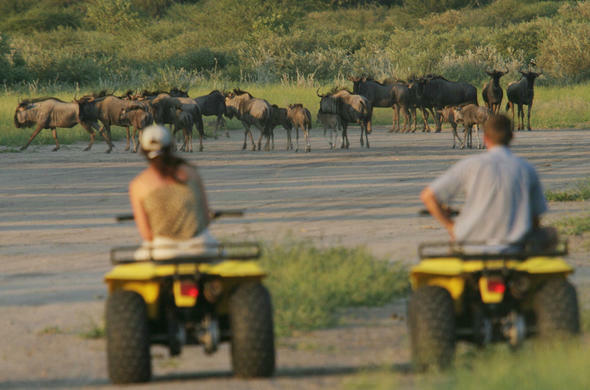 The Kalahari was once the scene of wildebeest migrations almost in equal to the great migration of East Africa. However, cattle ranching put an end to this when fences were erected to reduce the spread of foot and mouth disease. Today the Central Kalahari is a place of unique wildlife and flora that has adapted to a semi arid existence and a safari here is one of the wildest and remotest experiences in Africa. Despite being a desert, Makgadikgadi Pans activities are exciting and include game drives and amazing star-gazing experiences. 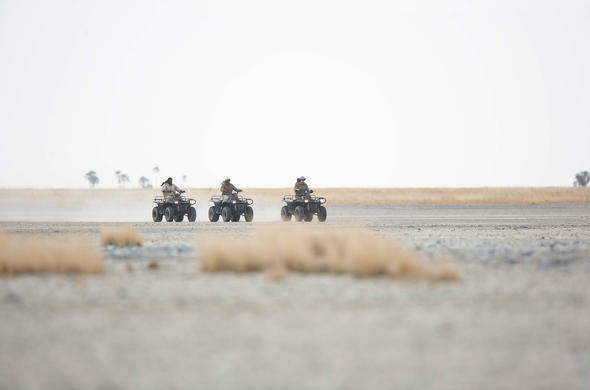 A quad-biking expedition, where you speed across the salt crust of the pans for an age, and seem to get nowhere provides one of the greatest thrills of a Makgadikgadi holiday. Bushmen of the Makgadikgadi. The Bushmen of Botswana, also known as The San people, have inhabited the Kalahari for thousands of years. They have adapted to life in this desolate landscape. 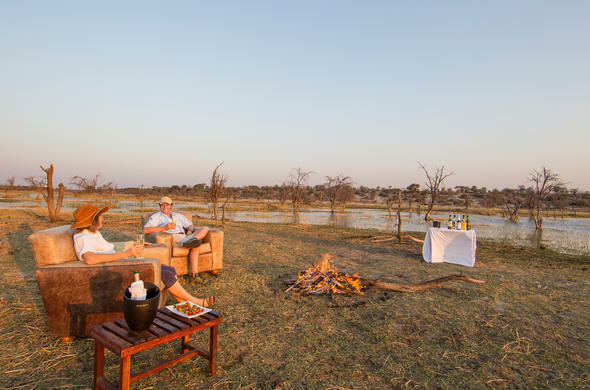 A highlight of any Botswana safari is learning about their way of life, as they teach you their strategies for survival. 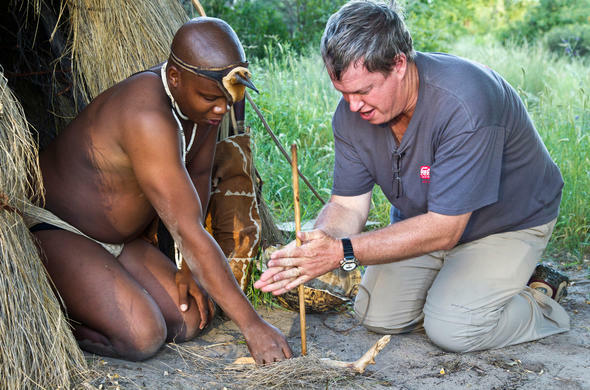 Outside the boundaries of the park are several private concessions that promote interaction with the San Bushmen people living there, and also offer night drive excursions into the desert to view the nocturnal creatures of the Kalahari.